This duo of father and daughter is a real find from the depth of Siberia. 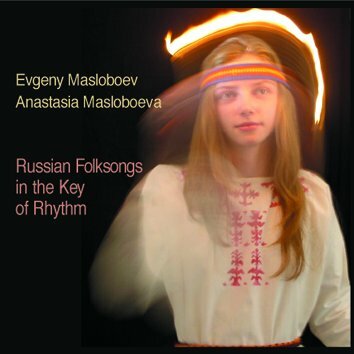 Evgeny and Anastasia take the mood of the ancient Russian folksongs and envelop them with subtle rhythmic sensibilities creating something totally unique. Evgeny plays a huge array of instruments - from drums, block-flutes, vargan and marimba to frying pan and kitchen utensils - while Anastasia sings. The genre they create is difficult to define. The closest we can come up with is ethno-jazz. Some pieces from this CD were chosen for the series of programmes about Russia "Journey with Jonathan Dimbleby" broadcast by BBC.